The Greene family was from Cape Broyle, where Gus was born, but were residing on Bell Island, Conception Bay, when the war started. 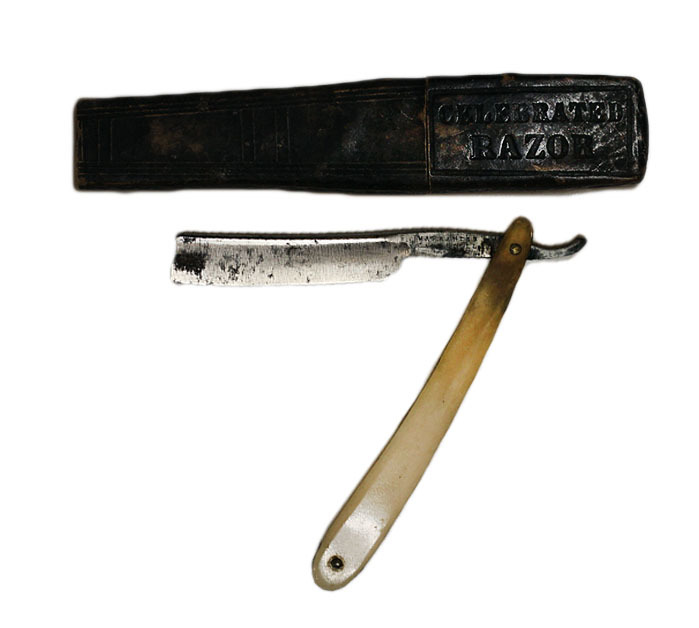 When Gus enlisted on 2 September 1914 he gave his age as 19, his occupation as a machinist, his marital status as single and his mother as next of kin. 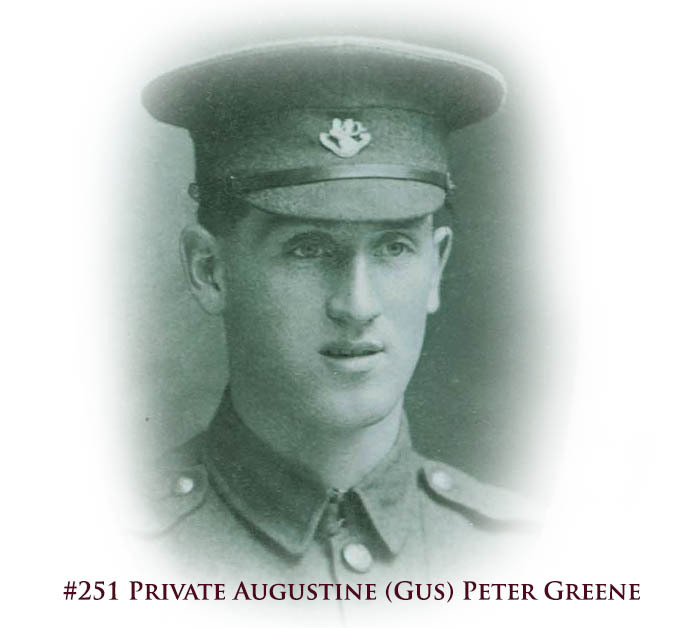 Gus was one of three Greene brothers to serve in the trenches with the Regiment (#251 Gus, #266 Walter DCM, #2843 Greg MM), between them encompassing a remarkable record of service and sacrifice, including two gallantry medals. 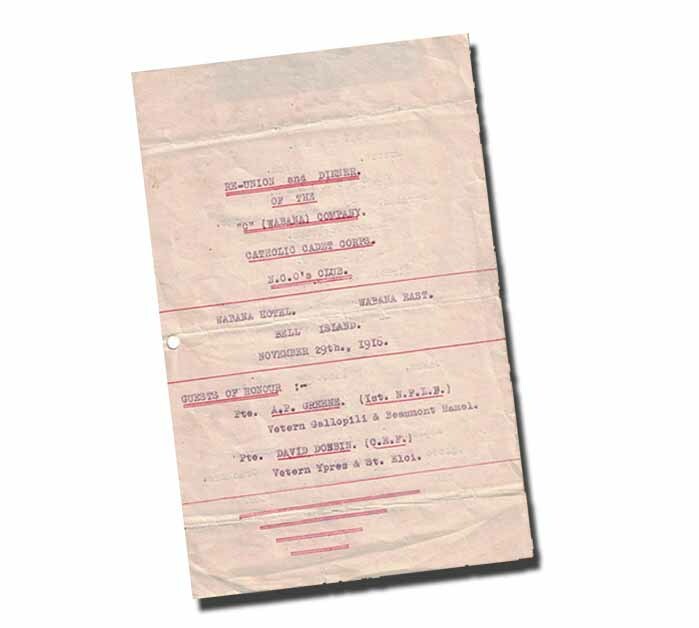 Gus’s older brother Walter (#266) was a police constable with the Newfoundland Constabulary before enlisting on the same day as Gus. 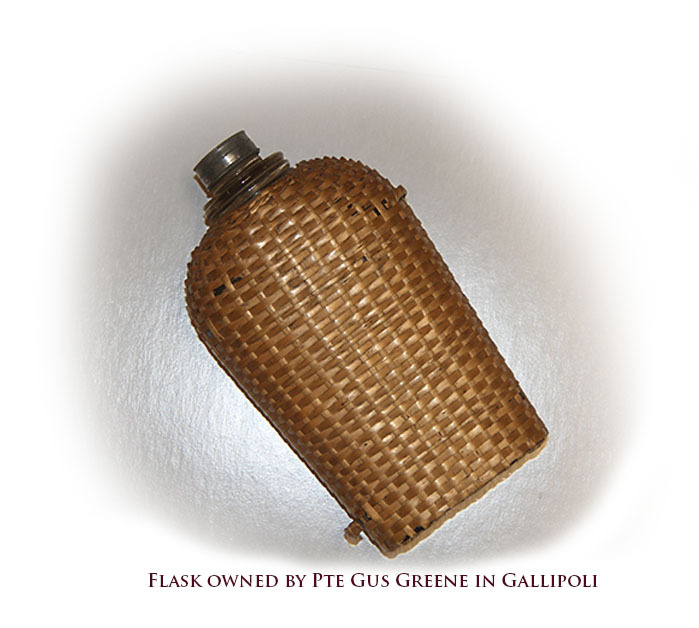 Both ‘Blue Puttees’, brothers Gus and Walter Greene went overseas together on the SS Florizel in October 1914 with the ‘1st 500’. 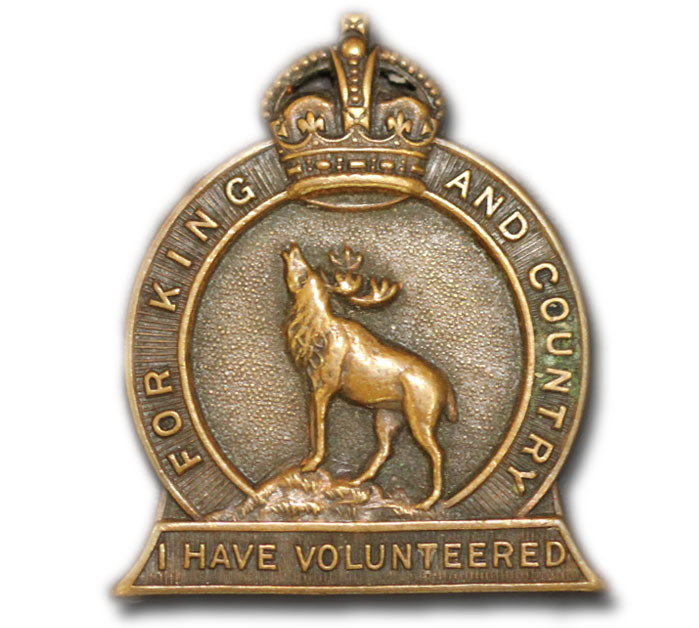 The brothers were with the 1st 500 in Britain while more and more volunteers came from Newfoundland till the Regiment had the number of soldiers overseas to permit the 1st Battalion to go on active service. Gus and Walter were with the 1st Battalion of the Regiment on 20 August 1915 when it sailed from Britain to go on active service with the BMEF. Walter by this time had been promoted to Sergaent. They were with the Regiment initially in Egypt and then when it landed at Suvla Bay on the Gallipoli Peninsula in Turkey (then the Ottoman Empire) on the night of 19-20 September 1915. Living conditions on the Peninsula for the British forces were atrocious, which spawned a lot of sickness. Gus suffered an all too common illness at Gallipoli, sickness causing by far the most casualties for the Regiment. On 16 October 1915 Gus found himself on the Hospital Ship Dongola heading for Cairo suffering from dysentery. This was the first time the brothers had been separated since enlisting just over a year ago. 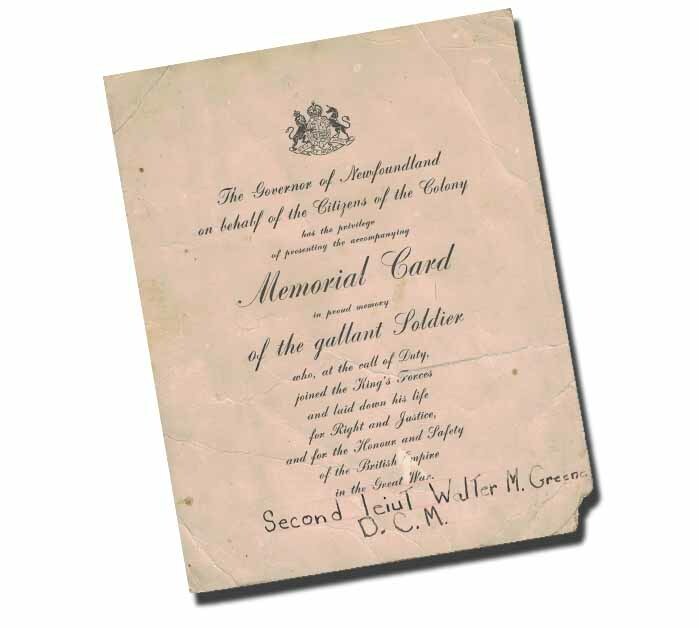 Less than a month after Gus was evacuated sick, Walter for his actions at Gallipoli on the night of 4-5 November 1915 fighting off the Turks at Caribou Hill was awarded one of the Regiment’s first medals for gallantry, a Distinguished Conduct Medal (DCM). After the Allied forces completed their withdrawal from Gallipoli on 9 January 1916 the brothers were reunited in Egypt where the Regiment went into training for the Western Front. The Regiment left Egypt on 14 March 1916, sailing by ship with the Greene brothers aboard to France landing in Marseille on 22 March 1916. Gus and Walter were with the Regiment in France during its training for the Battle of the Somme, a major coordinated assault by British and French forces against German lines. The opening day of the Battle was to be the first time the 1st Battalion went ‘over the top’ as a unit, but it was an experience that Gus and Walter would not share. 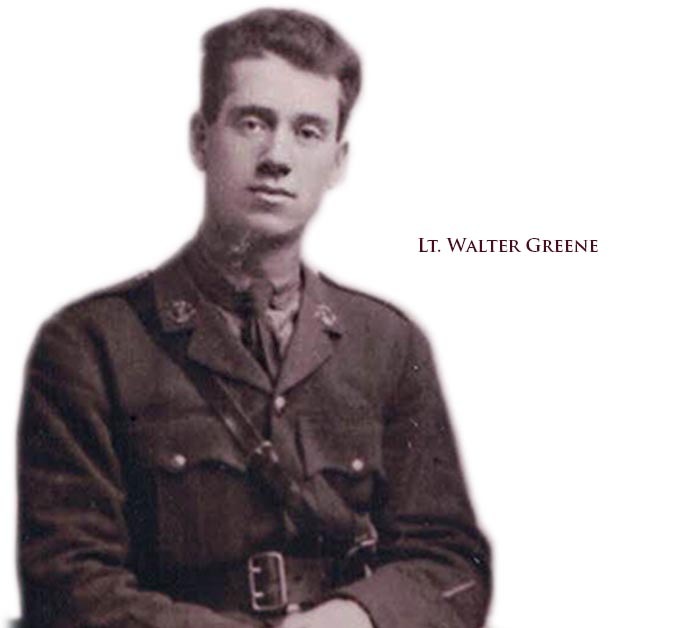 The brothers were separated again on 28 June 1916 when Walter, recently commissioned a 2nd Lieutenant, was wounded while part of the Regimental trench raiding party probing the German lines before the upcoming attack. 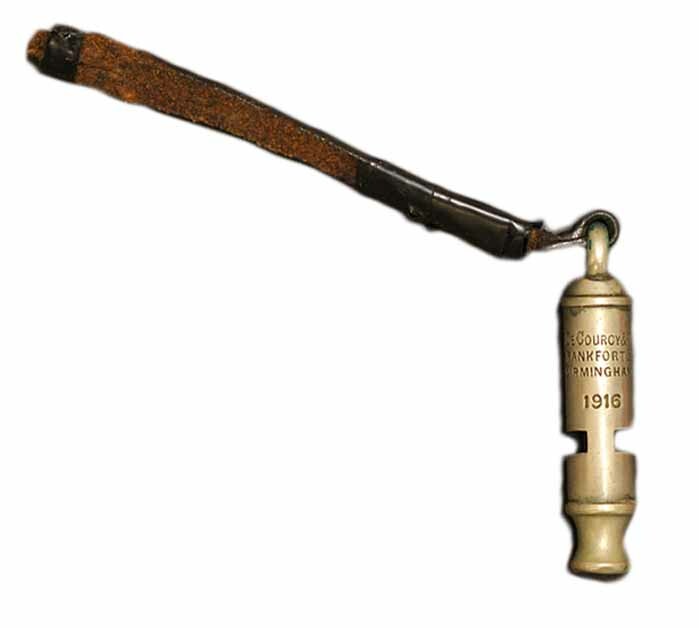 During the raid Walter got 36 bomb (grenade) shrapnel wounds to his legs, which sent him to Wandsworth Hospital in London to recover until 23 October 1916. With Walter evacuated to London, it fell to Gus to be one of the around 800 soldiers from the 1st Battalion who went over the top at Beaumont Hamel on 1 July 1916, the notorious first day of the Battle of the Somme and the most infamous day in all British, and Newfoundland, military history because of the number of casualties. 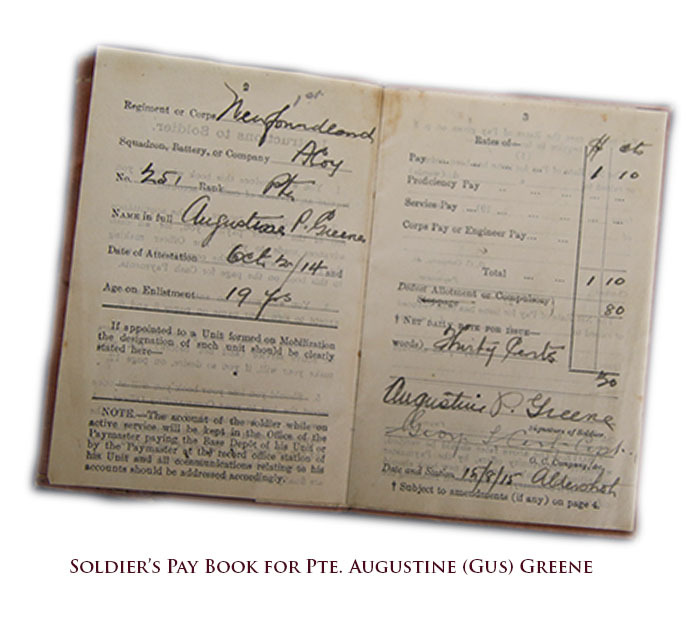 When the Regiment went forward Gus got a gunshot wound in his left thigh close to his knee. Gus followed Walter to Wandsworth Hospital where his medical report recommended no attempt be made to remove his bullet “…owing to the position which would involve considerable dissection to reach it and leave a large and deep wound”. With the bullet in his leg causing knee pain, and still suffering the lingering effects of dysentery, fighting at the Front was over for Gus. Walter was still recovering in hospital when Gus sailed for St John’s on 27 September 1916 on furlough, where six months later on 21 March 1917 he was honourably discharged from the Regiment medically unfit for further active service. 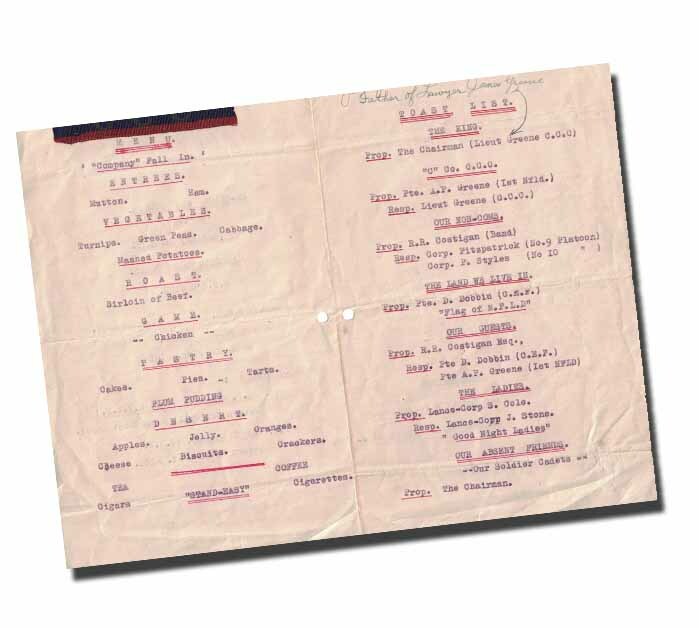 Prior to Beaumont Hamel while Gus and Walter were in France, their younger brother Gregory (Greg), also a machinist like Gus, on 5 June 1916 became the third Greene sibling to enlist in the Regiment. Greg (#2843) arrived in Britain shortly after Gus joined the Regiment Depot after being released from hospital. Less than a month later at the end of September 1916 Gus was on his way back to Newfoundland. 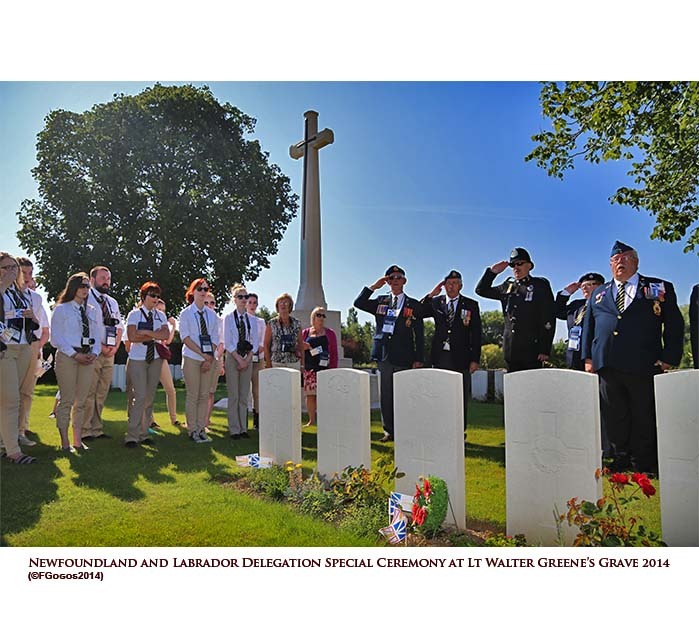 Two Greene brothers went on active service with the 1st Battalion in 1917, but this time it was Walter and Greg. Walter, promoted to Lieutenant on 1 November 1917, was killed in action only a few short weeks later in the attack by the Regiment on 20 November 1917 during the Battle of Cambrai. Greg, promoted to Corporal on leaving Britain for France in June 1917, was also at Cambrai. While physically unwounded in the battle, he had to endure the pain of Walter’s death so close at hand. A few days later Greg was promoted to Sergeant. After a bout of rheumatic fever in early 1918, Greg rejoined the 1st Battalion in April 1918. 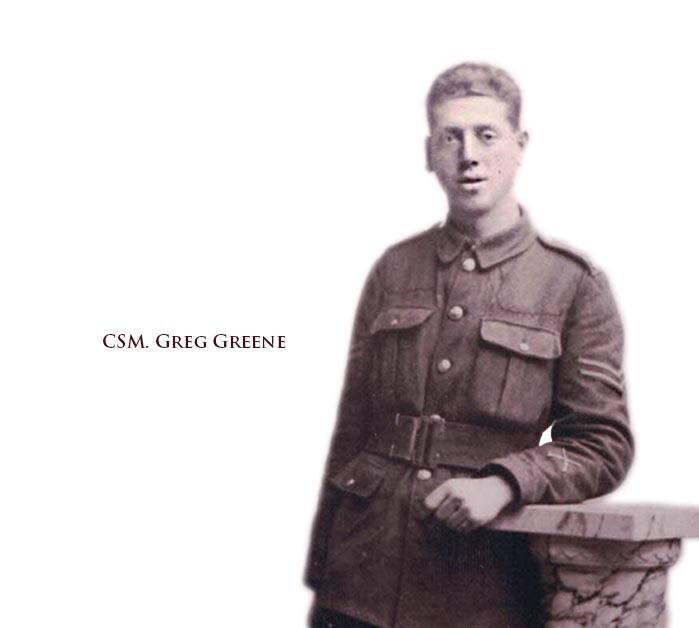 For his actions at Keiberg Ridge in Belgium during an attack by the 1st Battalion on 28 September 1918 Greg was awarded the Military Medal (MM) for bravery in the field. 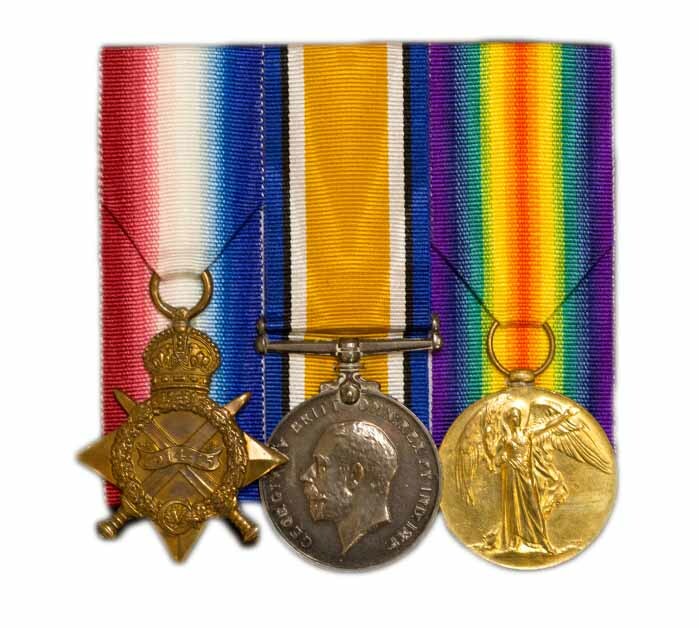 It is a remarkable family story that two of three brothers serving with the Regiment received a medal for bravery, Walter his DCM in 1915 and Greg his MM in 1918. 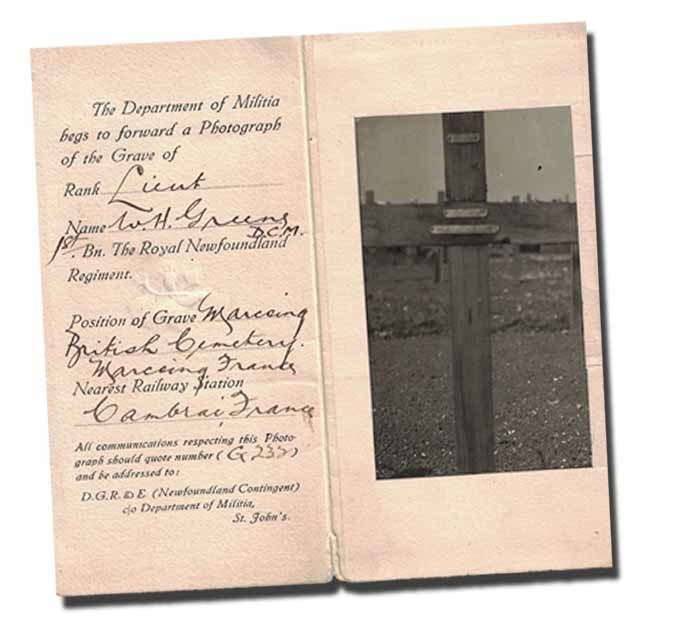 After the Armistice Greg was demobilized in St John’s on 4 May 1919 with the rank of Company Sergeant Major (CSM). 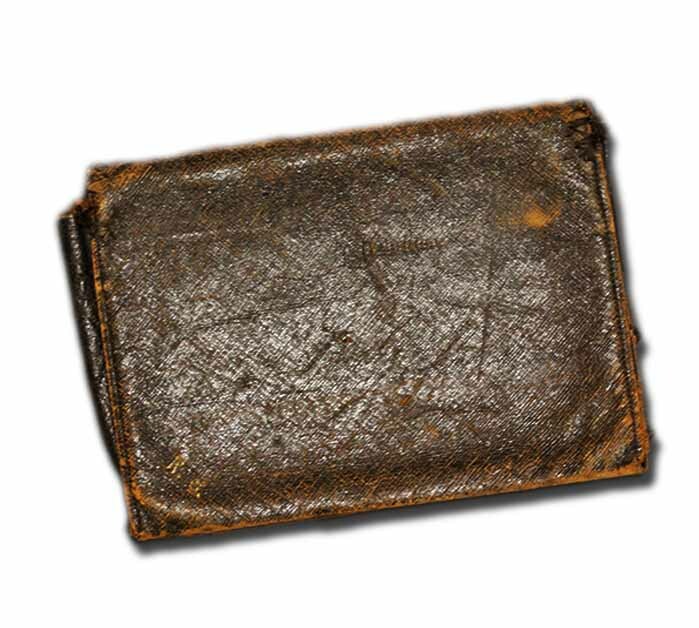 When Gus’s WWI medal trio was donated to the Regiment Museum several other artifacts came with the medal donation. Among these is his WWII ‘I Have Offered’ pin, issued to individuals who offered to enlist but were rejected for any number of reasons. This suggests Gus volunteered again for service in World War II, although he would have been in his mid-40s when WWII started. Given the remarkable record of service by the Greene brothers in WWI, it is not surprising to see one of them step forward again to offer to serve in WWII.